Scentsy Business Tips - 60 Tips to Build Your Scentsy Business Today! Feeling a little lost in your Scentsy business? First of all: relax, that’s totally normal. Every Independent Scentsy Consultant from Escential Consultant to SuperStar Director has wondered what to do next at least once. These comprehensive Scentsy Business Tips are exactly what you (and your Scentsy business) need. LOW COST, OR NO COST SCENTSY BUSINESS TIPS TO CREATE GROWTH FOR YOUR SCENTSY BUSINESS – TODAY! Whether you’ve been an Independent Scentsy Consultant for a day or a decade, there will be times during your journey where you feel that your Scentsy business is not where it should be. Sometimes frequently! Don’t panic! Maybe the only true failure in our industry is giving up before we really attain our personal version of success. What do you think? 1. Join online/FB interest groups and focus on making genuine friends. 2. Source other party planners/Direct Sellers in your local area and host a shopping night. You all invite as many of your customers as possible. Also make sure the other party planners/Direct Sellers do the same. Share the love! 3. Ask permission to set up an Enter My Drawing Box in a highly trafficked location like a local milk bar or post office to collect new leads. 4. Create 20 samples a week. Also be sure to aim to hand them out to new people you encounter. Two every weekday and five each day on the weekend. Above all: don’t forget to ask for follow up details to find out what they thought! 5. Contact local sporting clubs and volunteer some of your time and energy in exchange for around the ground advertising for your Scentsy business. Also enquire about sponsoring a player’s award/trophy with your Scentsy business. Even more importantly: be sure to brand yourself whilst you are there! 6. 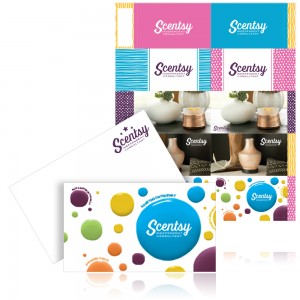 Grab a pack of Scentsy Catalogue bookmarks from the Scentsy Family Store. Rather than keeping your business a secret: add your label and donate them to local libraries, book stores or newsagents. 7. Join a business networking group like Heartlink, Savvy Circles or Leaders in Heels. Because your network = your net worth, you’ll consequently gain the opportunity to create new connections. Furthermore, you’ll have access to connect with and learn from like-minded professionals. Lead with value and share your own Scentsy Business Tips. Almost all of the basics can be applied to any business. 8. Brand yourself with Scentsy apparel and accessories everywhere you go. Likewise, make a promise never to be Scentsy Naked. 9. Create a newsletter. Use a free online system like Mail Chimp to publish a regular e-newsletter to your existing customer base/contacts. Tell people about what you’re doing. Communicating Scentsy business tips and tricks make you an attractive sponsor. Furthermore any new products or specials coming out helps with orders and booking parties. Above all, it’ll keep you on their radar and encourage repeat business. 10. Create an external website and blog. Blogs are great opportunities to extend your digital marketing strategy. Also you’ll also be creating a whole range of long-tail keywords, SEO-wise. They’re also a good chance to show off your Scentsy business tips. Consequently you’ll be building trust with your audience. Keep your blog updated with quality content and both Google and web visitors will love you for it. 11. Kick it old school with a flyer drop! This is simply putting marketing leaflets in local letterboxes or sending out postcards to your existing Scentsy business database. They might be old school but they shouldn’t be underestimated. They can still work. 12. Talk to people! When you are asked: “what do you do?” Let them know that you own a small (or large) Scentsy business. Give them card/details. Talk yourself up. Believe in you. 14. Another huge take home message is: ensure that no one forgets what you do. When someone mentions Scentsy, let your face be the first image that comes into their mind. 15. #givemorethanyoutake Consider donating some product to a charity night or auction. Make sure that you attend the event in person, as it’s a great way to network, meet potential new customers and raise your Scentsy business profile locally. 16. 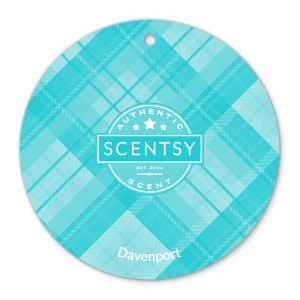 Stock up on Scent Circles, label them with your details and hand them out for great customer service, random acts of kindness, or trade out other hanging fresheners that you see people using in their vehicles – people will love you for it! 17. 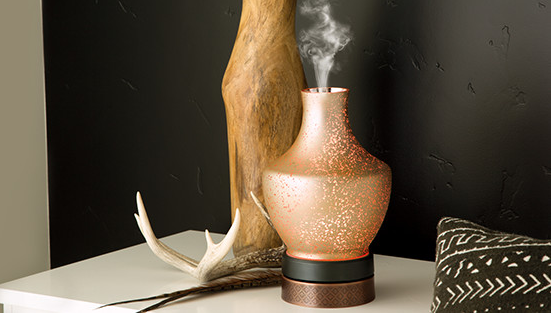 Give Scentsy as gifts. Buddy Clip / Scentsy Buddy / Scentsy Sidekicks – they all make great talking points and their siblings or friends will probably ask their Mum for one too! 18. Update your Personal Website (PWS) and share the link to an open party. People don’t want to talk to warmers, they want to talk to people. Another do not miss Scentsy Business Tip: add a real photo of YOU to your PWS and social media profiles. Keep it real and don’t be afraid to show the authentic you. 19. Message or call your contacts at the end of each month to let them know personally that you are placing an order and ask them what you can help them with. 20. Create a loyalty/referral program and privately incentivise and reward your customers for supporting you and your Scentsy business. 21. Offer unbeatable customer service and experience. Why? Because referrals and word-of-mouth recommendations are KING. Keep your existing Scentsy clients extremely happy by offering superb customer service. Work that extra bit harder and you’ll reap the rewards long-term. 22. Offer your services to a local fundraising event. It won’t cost you anything and will introduce you to a lot of people you otherwise wouldn’t have met. Another benefit is how awesome you will feel for giving more than you take. 23. Call some local over 50’s/retirement resorts and offer in-house Christmas/Valentine’s Day/gift buying events with a Mystery Host. Because many of the residents have limited shopping opportunities – you are bound to be a hit! 24. Do a car boot event or local market. Indoor events reduce the need for shade tent, otherwise borrow a shade tent to keep costs down. 25. Ask your regular Doctor and/or specialists if you can provide catalogues for their waiting room. 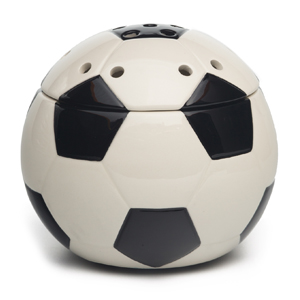 Likewise offer them a loan warmer or even a Scentsy Basket Party. 26. Create business “borrow bags” and get your Scentsy stash out working for you. Hair dressers, beauticians, chiropractors are great places to lend a warmer or diffuser to (they also love Scentsy Washer Whiffs for their towels) – but the only limit is your imagination! 27. Have one on one coffee dates with people to share Scentsy products. Some people won’t host a party, or even come to one. Another loyal customer could be one personal sip n’ sniff away though, right? 28. Give a Scent Circle to your postal worker, delivery guy, school bus driver, crossing guard – follow up with them later and ask them what they thought! 29. Always take samples and product packets everywhere you go. Keep some in the car and some in your bag. Give to anyone that you say hello to. Your passion and love for your Scentsy business tips the balance between being a good consultant and a great one! Bonus points for asking them for follow up details to ask them for their feedback! 30. Rather than throwing out dated business collateral: Distribute old season catalogues with ‘this one is old but I have one that’s new…’ sticker on the front. Because you are making the decision to be proactive, you’re bound to get better results! Futhermore, you’ll find yourself in many more waiting rooms, fast food shops, tea rooms, train stations, or any sort of offices you can access. Consequently you just 10X’d your chance of a positive result! 31. Contact three previous customers, three friends and three potential new customers each week. Rather than being the person who only reaches out when they want something – contact them just to say thank you. As a result you have created a chance to give/send them a Scent Circle or Scentsy Laundry Sample. Focus on people that have never been to one of your Scentsy parties. Invite them to host or attend your next party. 32. Take some Scentsy Body products with you to work or wherever you go. Share them with seven people over the next week. Another key element of this strategy is: don’t forget to ask them if you can help them in placing an order. 33. Get the basics right. When you answer your phone, always say your Scentsy business name and who’s speaking. When you send an email, always make sure your email signature contains your Scentsy business name and the Independent Scentsy Consultant logo. Be polite and friendly always, because you never know who might be calling. Another free and simple idea that helps you get basics right while strengthening your brand and your reputation – too easy! 34. Have a photo of your Scentsy business card on your phone. That way if you get caught Scentsy Naked and you have struck up a Scentsy conversation with someone you can text them your business card on the spot. Another benefit is you then have their number for future follow ups. 35. Make videos! Multimedia content is incredibly popular and helps to make your social media accounts more engaging. Create ‘how to’ videos or even show people your Scentsy business support crew, team or your work space. Videos help to build that essential trust. And if people trust you, they’ll want to do business with you. 36. When you use a courtesy car from a mechanic, catch a cab, or grab an Uber pop a scent circle in them labelled with your details on the plastic. 37. Create a calendar. Design and print a special calendar with your business name and website address on it. Bonus points for making it magnetic or free standing. Send it out to your existing customers or gift to local shops or businesses, which makes fantastic free advertising for you. 38. Consider a low budget Google AdWords campaign to send customers/hosts/recruits to your PWS. Maybe consider AdWords Express if you feel a little overwhelmed. While the functionality is a little less in dept, it is a great tool. Furthermore, if you aren’t quite sure how to rock the whole keyword thing – it does it all for you! 39. Use community boards. Another underutilised resource peeps! Even more important to keep your eyes peeled for physical community cork boards – at your local supermarket and pharmacy, even your local library. Put up your own fliers because it’s cheap and easy. Rather than drop and run (this looks pretty unprofessional) make sure you get permission. 40. Utilise your friends and family. Don’t forget to use your own personal contacts to help get your name out there. Because giving friends and family some of your business cards and/or samples gives them the motivation (and physical reminder) to help promote you. 41. Advertise in small community publications or school newsletters. There’s a significant chance these will be very affordable and maybe even accept a small product donation in lieu of payment. 42. Connect with 3-5 other Scentsy Family Consultants this week (one of them should be your Sponsor or Director) to get new ideas for business building. Try at least one of your new ideas over the weekend. 43. Talk to all the vendors from whom you buy products or services. Follow your money trail and you will find business owners are much more receptive. Give them your business card, and ask if they can use your products, or if they know anyone who can. If they have bulletin boards where business cards are displayed (printers often do, and so do some supermarkets, hairdressers, etc. ), ask if your Scentsy business can be added to the board. 44. Be sure to have an email address that’s professional and relevant for your Scentsy business. Remember we are professionals, so we need to ensure that we always put our best foot forward and look the part. 45. Always have an active PWS. For the small price of $13 a month (after the initial first 3 months free) you can create a much bigger customer base by marketing your links to products and/or and open party. Not to mention that if someone you don’t know makes a purchase, you will then have their details for customer follow ups! 46. Offer to “lend” someone a Scentsy Warmer for the next couple weeks. When you go pick it up, talk about if they would like to buy something or even host their own party. 47. Step up your branding visibility. Make it your mission to wear Scentsy apparel any time you are in public. Brand your car, carry a Scentsy drink bottle, use a Scentsy planner for your day job etc. You never know whose eye you might catch. 48. Pose a Scentsy Cleaning challenge to your customers. Maybe ask them to let you bring some Scentsy cleaning products to give them a real-life demonstration? As a result you create the perfect opportunity to browse the catalogue together! 49. Do a “Favourite Fragrance” poll on Facebook. Based on responses, follow up with those who posted to recommend Scentsy products available in their favourite fragrance. 50. Share with five existing contacts and five new contacts a new Scentsy product that they may not have tried before. Also think about a new scent, warmer or another product that might be new to them. Let them know how you use it and why you/they will love it. 51. Ask a family member or close friend to take a small set of testers to work with them. They can simply set them out on their desk. Maybe ask that they be more assertive and try for as many orders as possible? (What have we got to lose?). 52. Set up a Scentsy business profile or page for LinkedIn, Facebook, Google Plus and Twitter. Furthermore be sure your business profile includes a good description, keywords and a link to your website. Also look for groups or conversations that talk about your type of products or services and participate in the conversations, but don’t spam them with constant promos for what you sell. 53. Bring your own centrepiece. Go out for a fun dinner this weekend. Take a Buddy Clip or testers with you to the restaurant and leave them on your table. 54. Introduce yourself to all your neighbours in your street/block/estate by knocking on the door and letting them know your name, where you live etc. Also be sure to give them your business card so they can contact you for business or otherwise. 55. Throw on some Scentsy wear, take a picture of yourself somewhere fun, and post it to Facebook. Also post about how much fun you are having with your business. Follow up with those who comment on your post to see if they would be interested in buying, hosting, or joining. 56. Pose a laundry challenge to your friends/customers asking them to let you bring the Scentsy laundry products over to do a load of their wash while you browse the catalogue together. 57. Be enthusiastic, vocal and proud about our wonderful products and business opportunity. Share personal and/or relatable stories with everyone you meet. If you’re excited it shines through and is noticeably authentic. 58. Make a video of yourself with your favourite product (or go live) and tell everyone why you love that product so much. Post the video to your Facebook page. Video content is a clear stand out on social media. Therefore harnessing video increases your reach AND your potential. 59. Pin your business on Google Maps and make use of free listing services online like “True Local”. People still search for products and service providers via Google. Therefore making sure your business is listed just makes ‘scents’, right? Furthermore, it’s free and will certainly help with your search engine marketing. 60. Another often overlooked Scentsy Business Tip is to have a professional voice mail message. For the reason that outside of your business hours, or when you are on the go your phone then identifies you as an Independent Scentsy Consultant. Furthermore, make sure your message sells for you. Replace ‘I can’t take your call right now’ with something more helpful or interesting. Maybe consider: ‘I’m not available but please check out my website/find me on FB’. Similarly, encourage the caller to contact you via other means. How are you feeling now you are equipped with 60 Scentsy Business Tips? Now that we know that what we are experiencing is normal. Almost everyone will experience regular challenges during their Scentsy business journey, right? Certainly we all have the ability to put many of these Scentsy Business Tips into effect to power through them. Finally we will come to a point where we ask ourselves: what do we do now? I am so glad that you asked! Rather than resign ourselves to staying “stuck” the key word here is DO. Because the majority of people that we deal with in our every day lives spend the best part of their time “getting ready to get ready”, deciding to ACT automatically makes us a cut above the rest. Maybe this will be your chance to vow that you will not join them in this pointless pursuit? The information and strategies that you have been given in this guide are only as valuable as your willingness to put them into effect. Similarly, the only cure to anxiety is action. Because if we want massive results, then we’d better make it MASSIVE action! Finally, I’d love to hear what you felt was the most valuable of the Scentsy Business Tips above. Also let me know if there is something that is missing. While you are here, take a moment to share this advice with your team (or the world). Certainly if you’d like to discuss this in more detail, scroll to the top of the page to connect with me! Yes I thought about giving scent circles, that cost money also, I was thinking of sending cards to people that has not brought any thing in a while, I know to make money , spend it. Joining Scentsy - Do I Have To Do Scentsy Parties?